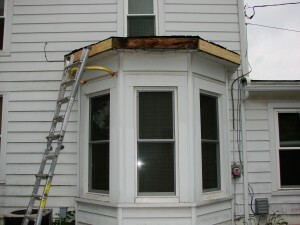 The roof over this bay window had seen better days! After multiple layers of steel, asphalt, and tar had deteriorated, there just wasn’t much left to seal up! The solution for a leaky problem such as this is to install a new rubber membrane roof, and the good part is that there is no need to remove the old roofing. 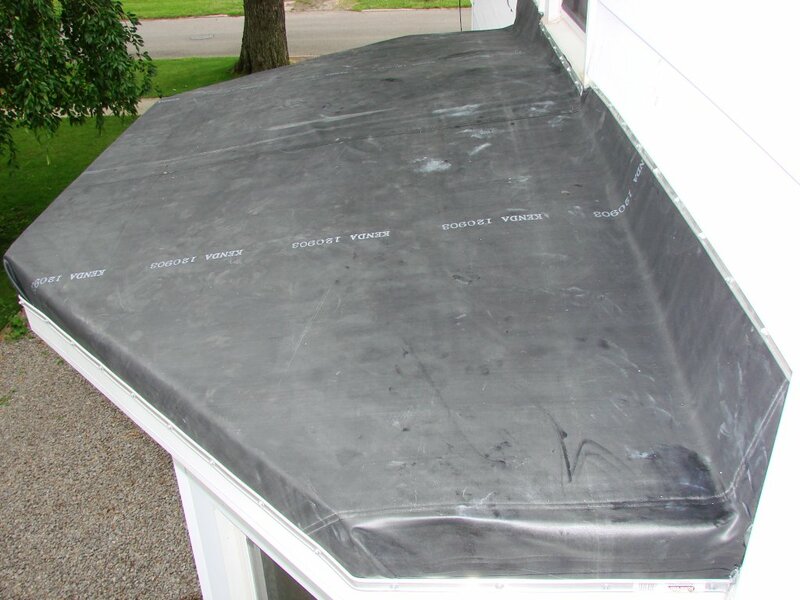 Simply install a fiber board underlayment to create a uniform, and somewhat cushioned surface, and then lay the rubber membrane according to the manufacturer’s instructions. 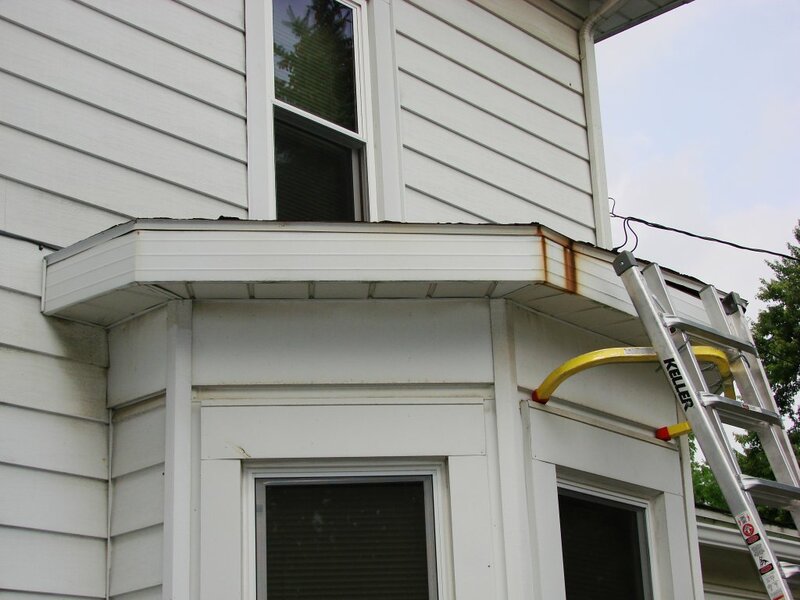 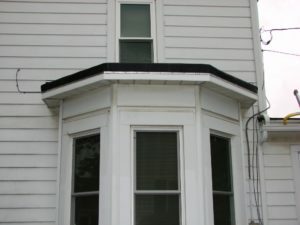 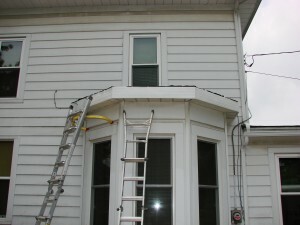 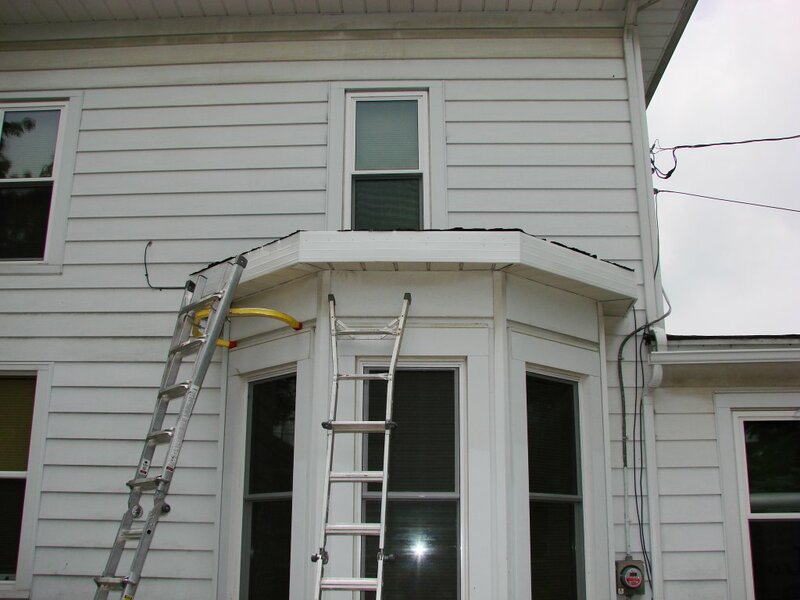 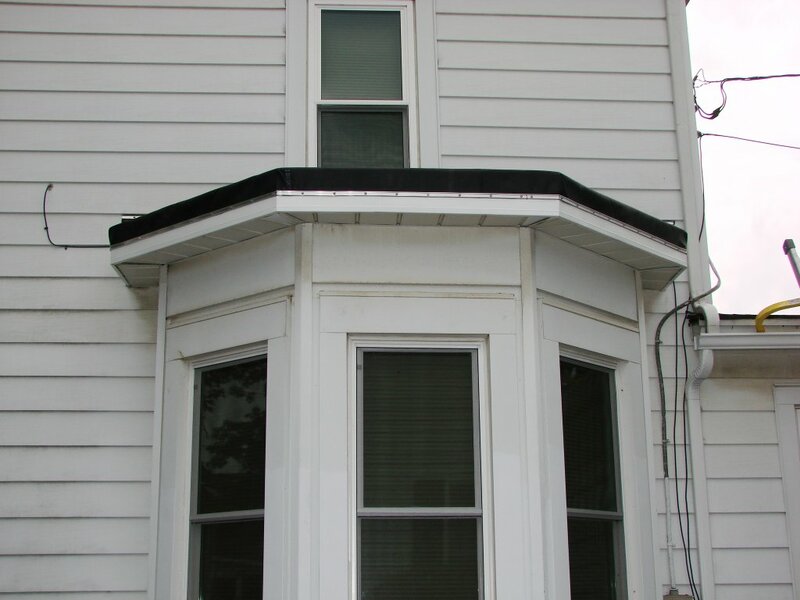 Now since this roof had been leaking for a number of years, I had to replace a few rotten pieces of the fascia board, as well as install some brand new aluminum trim. 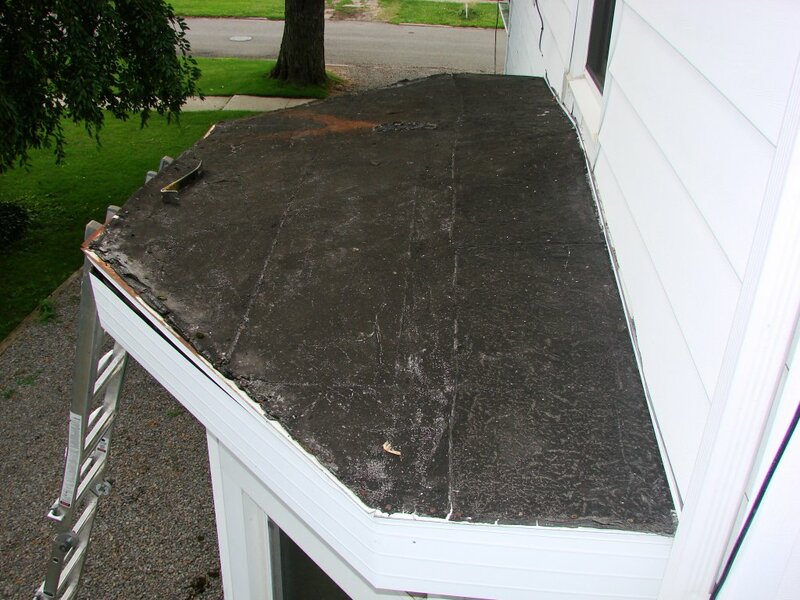 After the termination bar installation and a little clear silicone caulk in some key areas, this roof is good to go for about 40-50 years!